Tanach, Hashkafa, Halacha, Jewish Thought and Special Programs. The focus is on step by step skill development as we aim to equip you with the ability to open up a broad range of Jewish texts. Classes are divided into Basic, Intermediary and Advanced levels. The Tanach program is engineered to help students develop skills step-by-step in both Chumash and Navi. Chavruta preparation is integrated with classroom instruction to maximize individual growth and independence in learning. Parshanut surveys the classic commentators of the Chumash from the medieval period until modern times. Representative commentaries from the current Parshat Hashavua are studied for a range of style, approach and orientation. The Five Megillot — Kohelet, Esther, Shir HaShirim, Ruth and Eicha, are each examined in detail as they become topical during the course of the year. 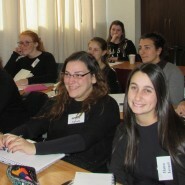 Grammar Classes take place 3 times a week to help students develop the skills for learning Biblical and Rabbinic Hebrew. Developing Hebrew language skills is a key element of our textual learning curriculum. 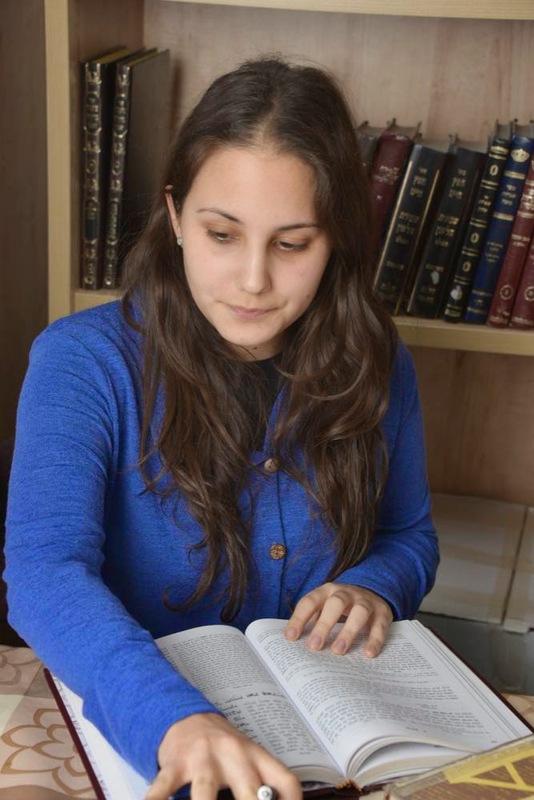 The ability to read, translate and understand a Hebrew text enables a student to grapple with Jewish sources independently in the original Hebrew. Bein Adam Le’chavero/Interpersonal Relations –Analyzes mitzvot regulating the conduct of society through primary and secondary sources, integrating textual skills with life skills. Topics covered include: the importance of loving thy neighbor, the challenge of honoring parents, and the obligation of giving charity. Tefila – This course considers the basic philosophical and technical structure of prayer, based on sources from the Talmud, Midrash, and Medieval philosophers. 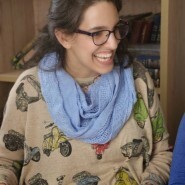 Students gain a deeper understanding of prayer as a way of approaching and communicating with G-d.
Mussar – In this course students are exposed to classical mussar text to help them realize the greatness of every human being ( Slabodka Mussar) and thereby facilitate personal growth. Works such as Or Yisrael and Eitz Pri from Reb Yisroel Salanter, founder of the Mussar movement as well as Mesilat Yesharim, Chovat Hatalmidim, Michtav M’Eliyahu and Alay Shur are all studied to give the student tools to grow spiritually and emotionally in their Judaism. 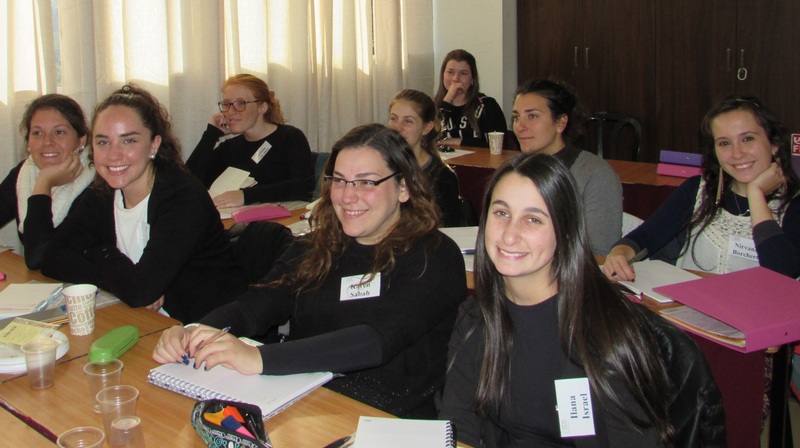 Ein Yaakov –Students are introduced to the world of Chazal, their thought provoking ideas and their hashkafa on central tenets in Judaism. They learn to appreciate the beauty with which the Talmudic Rabbi’s lay out their beliefs in Jewish ideology and growth. The higher level works on becoming more independent in reading and understanding the rabbinic words of wisdom. Issues in Jewish Contemporary Society deals with many of the challenges of living a Torah life in the modern world. 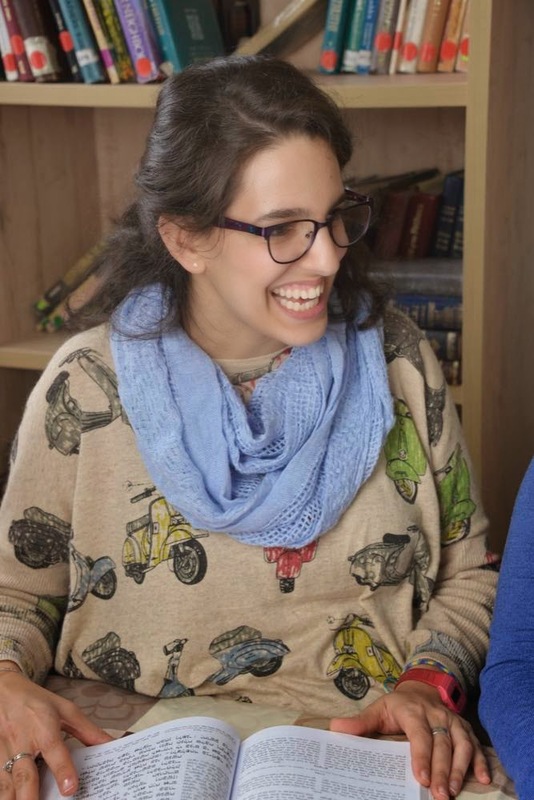 In Jewish Philosophy -the student is exposed to the important works which will help her confront fundamental issues and questions in our belief system. Text incude Derech Hashem, Rambam’s 13 Principles of Faith, Rav Soloveitchik’s works as well as coming to grips with the challenge of western culture and values. Practical Halacha – A practical and analytical approach, based on classical and contemporary sources, illuminates the halachot of Shabbat, Kashrut, Brachot and Shmirat Halashon. Survey and Everyday Halacha covers a range of Halachic topics and gives the students a very practical handle on living a halachic lifestyle. 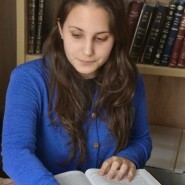 Oral Law – Through learning key sources in Chazal and Rambam’s introduction to his commentary on Mishna, students gain a more sophisticated understanding of the workings of Torah Shebe’al Peh – the Oral Torah. Maharal – The Maharal’s unique approach to rabbinic texts combines rigorous textual analysis with the presentation of deep metaphysical concepts. Special emphasis is placed on the Maharal’s Derech Hachaim on Pirkei Avot. Daily Halachot for Women – This class provides practical and analytic guidance for a Torah-observant way of life. Topics such as Tefila, morning Brachot, Limmud Torah, and Hilchot Beit HaKnesset are covered. The higher level course Learning to Learn introduces the woman to the complex workings of the Shulchan Aruch and Mishna Berura. Cycle of the Jewish Year – The structure of the Jewish calendar and a detailed investigation of the holidays provide insight into the special rhythm of Jewish life. Jewish Life Cycles deals with our community Mitzvot such as marriage, brit milah and bat mitzvah. 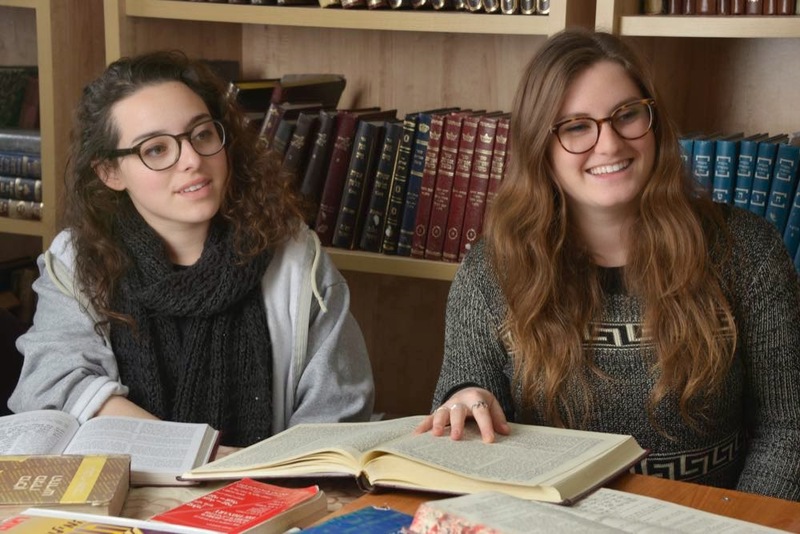 Chassidus – Using texts written by the Chassidic masters such as Rebbe Tzaddok HaCohen, the Sfas Emes, the Nesivos Shalom and others, the students are exposed to the inner depths of Torah. Elul Classes – in Elul we cover the additional halachot of tzedaka, teshuva and the Yamim Noraim. Yemei Iyun – We host several seminars for current students and our alumni each year presented by our faculty and guest lecturers. Each of these Yemei Iyun, in advance of the Yamim Noraim, Chanukah, Purim, Pesach, and Tisha B’Av, Holocaust Remembrance day and Women’s Health Day, develops a specific theme through textual study and inspiring lectures.